The Fort Worth Sinus Center provides comprehensive care for diseases and ailments of the nasal sinuses. The Sinus Center offers complete diagnostic, treatment, and management services for pediatric and adult patients with nasal and sinus concerns. The physicians at the center are experienced in the latest minimally invasive procedural techniques, such as in-office balloon sinuplasty, functional and image guided endoscopic sinus surgery. In addition, the physicians at The Fort Worth Sinus Center specialize in correcting previous sinus surgeries and their complications. Sinusitis affects 37 million Americans every year, and although medications may help the majority of people, there are still many people who require additional procedures for relief of their symptoms. If you have been diagnosed with chronic sinusitis or recurrent acute sinusitis (4 or more episodes of sinusitis per year) and are not responding to antibiotics well, you may be a strong candidate for balloon sinuplasty, which is a minimally invasive procedure that allows for a quicker recovery for sinusitis patients. The physicians at The Fort Worth Sinus Center are very experienced in performing balloon sinuplasty. Often referred to as “angioplasty for the nose,” balloon sinuplasty is an innovative procedure used for the treatment of chronic sinusitis approved by the US Food and Drug Administration (FDA) in 2005. Non-invasive balloon sinuplasty surgery is both safe and very successful in treating patients with chronic sinusitis. To typically be considered a strong candidate for balloon sinuplasty, a patient has not reacted well to medications and has either endured a sinus infection for over 12 weeks or suffers from sinusitis 4 or more times every year. In most cases, patients who undergo balloon sinuplasty need alleviation from very painful and often intolerable sinusitis symptoms. The balloon sinuplasty procedure is significantly less invasive and much more innovative than traditional sinus surgery, which can be more difficult to recover from due to the cutting and excising of nasal bone or tissue (to reopen the sinus cavities). The balloon sinuplasty recovery process is very expeditious and much less painful, permitting patients to return to their normal daily activities rapidly. Balloon sinuplasty is an endoscopic procedure performed under general anesthesia or local anesthesia in an outpatient setting. Your physician, after consulting about your health background, will determine the best place to do the surgery. Once anesthetized, the surgeon, by accessing the nose, inserts a thin guide wire into the openings of the sinuses. Essentially, the physician opens the swollen sinuses the same way a cardiovascular surgeon unblocks arteries during a balloon angioplasty procedure. A deflated balloon is inserted into the opening of the sinus and then inflated to expand the tissue, recreating the original opening that over time became obstructed. The entire procedure is performed through the nasal openings and afterward, the sinuses will drain considerably better. 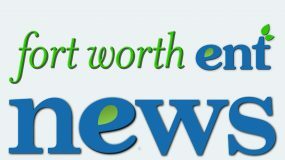 Fort Worth Sinus Center offers in-office balloon sinuplasty: a breakthrough, non-surgical, and simple procedure that delivers permanent relief from sinus pressure, chronic headaches, nasal headaches, and postnasal drip. Historically, patients have undergone a general anesthetic for a conventional full sinus surgery operation, followed by at least a week’s downtime. However, when our otolaryngologists perform in-office balloon sinuplasty, patients experience a procedure that is comfortable and only lasts around 30-45 minutes. First, the patient will receive a topical anesthesia with spray or cream, and then the surgeon performs the procedure while the patient is awake but numbed. Because general anesthesia is not required, recovery is minimal with this procedure causing no surgical downtime, no bruising, no swelling, no scarring, and no stitches, which conventional sinus surgery ensures as part of the recuperation process. 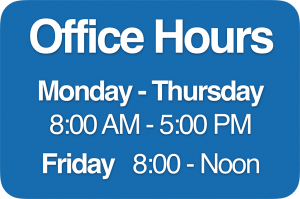 Patients typically return to everyday activities within 48 hours of the procedure. Note, however, balloon sinuplasty for pediatric patients must be performed under general anesthesia, which means the in-office procedure is not an option for children. In the last 10 years, over 375,000 chronic sinusitis patients have been successfully treated with balloon sinuplasty. The procedure is proven effective through the majority of these patients reporting remarkable improvements in previous chronic sinus symptoms and overall quality of life years after the procedure. Balloon sinuplasty does not require incisions and cutting or the removal of bone and tissue. As a result, there is generally less pain, risk of infection, blood loss, bruising, and swelling. Many patients are often able to return to their normal activities in less time than they would from traditional “open” sinus surgery. Although every individual’s recovery process may vary, across the board, all associated issues with recuperation from balloon sinuplasty are comparatively minimized. Most patients return to normal activities within 2 days, and due to the minimally invasive techniques developed, this procedure can be performed in the ENT’s office, further minimizing the ordeal of treating chronic sinus issues. Usually patients with sinusitis have a range of sinus symptoms including nasal congestion, cough, fever, pressure headaches, and facial pain and tenderness. Oftentimes, sinusitis is a secondary problem occurring after allergy attacks or upper respiratory infections that irritate and block the nasal passages. What is the next step if I believe I experience the symptoms of sinusitis often? 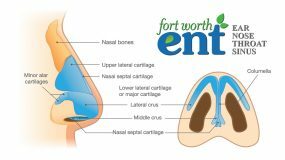 Make an appointment with one of our ENT specialists at The Fort Worth Sinus Center. We can evaluate and assess your current situation and create the best treatment plan for your individual needs. The balloon sinuplasty procedure has been recognized nationally as a safe and effective non-invasive procedure since 2005. Thousands of otolaryngologists across the United States have adopted this procedure, and currently more than 300,000 patients who have undergone balloon sinuplasty are displaying exceptional long-term results. Complications following the balloon sinuplasty procedure are very uncommon. Is in-office balloon sinuplasty safe? More than 35,000 balloon sinuplasty surgeries have been performed in-office thus far with exceptional safety record. What if sinus surgery does not work on me or needs to be repeated? In certainty, the sweeping predominance of patients who undergo sinus surgery and/or balloon sinuplasty experience consequential and momentous improvements in both the proper functioning of their sinuses and their overall quality of life. Recently, in a review over 45 different studies concerning the quality of life improvements after surgery, every one of those studies indicated a substantial increase in quality of life, ranging from 77-97% of patients participating in the study. Ultimately, sinus surgery is exceedingly successful. How long will balloon sinuplasty relieve my chronic sinus problems? The vast majority of sinusitis patients disclose a significant increase in sinus symptoms along with quality of life for a minimum of 2 years following the procedure. With our experience, however, symptomatic relief characteristically endures indefinitely once the anatomic blockage is treated. After balloon sinuplasty, will my nose need packing? Does the removal of nasal packing hurt? In the past, conventional sinus surgery methods required physicians to pack the nose with gauze that was then removed a couple days following surgery. Packing can be quite uncomfortable to deal with and get removed. Luckily, however, with the newest non-invasive techniques and advanced procedures such as balloon sinuplasty, packing is no longer necessary. After balloon sinuplasty will my eyes turn black and blue? Unless a person is having some sort of cosmetic nasal work performed at the same time as a balloon sinuplasty, typically no bruising will occur. Is the recovery from balloon sinuplasty difficult and long? Recovery from balloon sinuplasty is generally relatively short and comfortable. While discomfort and recuperation time varies from patient to patient, most people can return to normal activities and work within 24-48 hours of the procedure. Does Medicare cover balloon sinuplasty devices? Yes, Medicare covers endoscopic sinus surgery when any combination of tools is used, including a balloon catheter. Do other insurance carriers cover balloon sinuplasty devices? Yes, Call your insurance provider to be sure of individual coverage policies, but most insurance companies cover sinus surgery involving balloon sinuplasty devices.